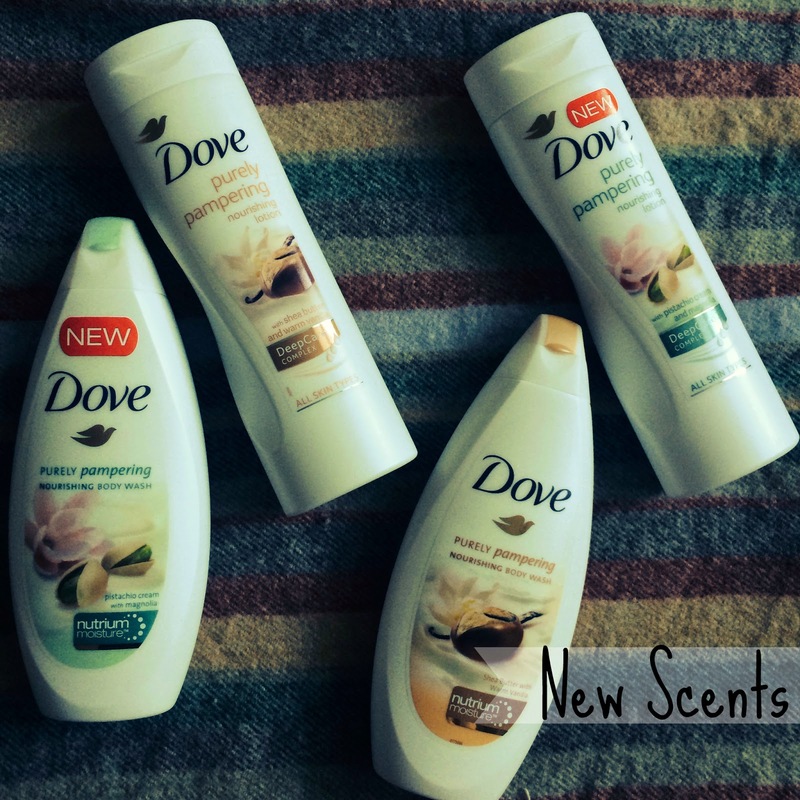 Dove has launched the Indulgent new scent of ‘Pistachio and Magnolia’ to their Purely Pampering range with a luxurious body lotion and body wash. The new scent treats your senses to a yummy mix of pistachio and magnolia which lingers for hours. So use this collection to relax and nourish the skin to feel silky smooth and also make you smell pretty darn good! We also tried the Dove Purely Pampering Shea Butter with Warm Vanilla body lotion and body wash which was a more tranquil scent and still feeling very luxurious on the skin – perfect for straight after a shower. 1. Start your day with a mild cleanser for your body. Choose products that not only gently clean your skin but ones that moisturise too. Dove body washes are ideal as they have ¼ moisturising cream and ingredients that replace the lost ingredients in your skin. 2. Keep the temperature down. Hot water can dry your skin and washes away the natural moisturising layer that helps to keep your skin hydrated. Taking a few degrees off the shower will help your skin hold on to some of its moisture. 3. Make it quick, the longer you spend under the shower the more of your skin’s natural barrier is washed away. 4. Exfoliate regularly but gently. Exfoliating helps your skin remove the older dry skin cells making way for fresh new cells. It also helps your skin improve its natural regeneration. 5. Moisturise straight after the shower. Even if it’s a light moisturiser, look for ingredients like glycerine that will lock onto the moisture from your shower before it evaporates and keep your skin much more hydrated. 6. Keep your central heating low. Central heating and air conditioning play havoc on environmental moisture levels and cause more water to evaporate from your skin.You can try to counteract the dryness by placing a bowl of water near heaters or use a humidifier. 7. Don’t forget your elbows, knees and feet. They need a little more care as they are often subject to more friction. 8. Moisturise at night, choosing rich and creamy lotions that boost your skin’s moisture levels. We know that at night your skin gets more attention from the body and that’s when it begins its repair process. Using a moisturiser at night works with your skin’s natural 24 hour rhythm and provides it with the conditions it needs to rebuild and repair itself. 9. Make a habit of pampering. We all have busy stressful lives and taking a bit of time to relax is really important for your general well being. Indulge in an evening pampering session. Just 10 minutes will help you feel calmer and more relaxed and set you up for a great night’s sleep. 10. Love the products you use. There are countless products on the market but if you don’t enjoy using them your regime will suffer. Pick products that smell nice, feel nice and work well so that caring for your skin is a pleasure rather than a chore!